Morning Glory Farm has long been known as the place to shop for a good, local and complete meal, and for their sweet corn. But the heart of the matter in their eyes, is that they are a real farm, surviving by doing a good job providing the food people want. They are using Vineyard land for the essential purpose of growing food, and preserving it for that purpose for future generations. And they are part of a community of many people who care deeply about what they are doing. Enjoy their farm store of plenty, and take in one of their festival celebrations if you can. Vegetables, corn, small fruits, meats, eggs, and cut flowers. Also salad bar and bakery. For daily specials and harvest, check their facebook page. 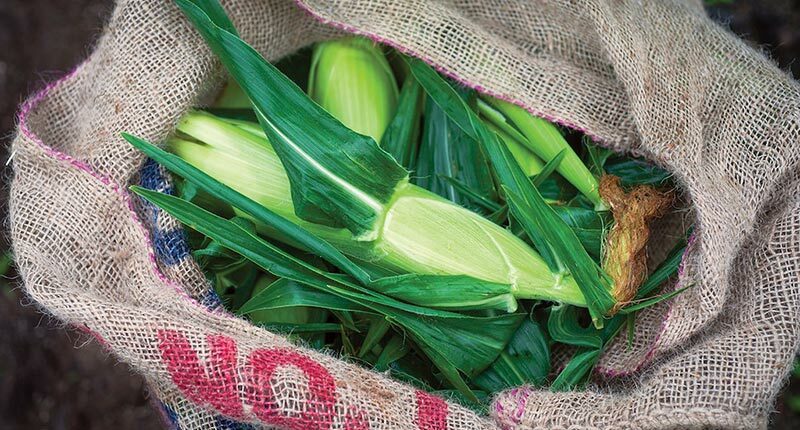 Starting in 1975 with sweet corn at the Farmers’ Market, Jim and Debbie Athearn proceeded to cultivate larger gardens, then cleared fields from woods on family land and established a roadside stand in Edgartown. Today, Jim and Debbie farm with their two sons, Simon and Daniel, and many employees, on 120 acres of owned and leased land from Edgartown to Chilmark. They cultivate 60 acres of corn, tomatoes, lettuce beans and all the usual vegetables that can be grown on Martha’s Vineyard. Strawberries provide an occasion for a festival in June and pumpkins sponsor a large and festive event in October. 40 acres of hay and 20 of pasture provide feed for their grass-fed beef cattle with the beef sold as frozen cuts in the farmstand. About 50 pigs a year are raised using surplus vegetables in their diet as well as conventional grains and home-grown, non-GMO feed corn. Pasture-raised chickens add to the protein element at the farmstand along with the pork and beef. Compost is open during daylight hours, seven days a week.